PC Solutions, Register Solutions, iPad and Android Solutions. QSR, Fine Dinning or Pizza Delivery. Check out our POS Bundles! Best Prices! Imprinter's or "crash kits" for POS or register down time! Point of sale bundles starting at $1699.00. Touch Screen PC with thermal receipt printer and full size cash drawer. Use for retail, restaurant, apparel and more. We offer terminals and integrated solutions with excellent support, quality and pricing. Save on merchant processing rates and fees. SAVE on EMV Terminals and Integrated Hardware. Bartizan 4850 Imprinter Bundle Special $19.99 Includes Custom imprinter plate and 50 truncated sales drafts.You never know when you will need an imprinter or crash kit. Other options available. EMV, an acronym of Europay International, Mastercard and Visa, joined in 1994 to provide a worldwide standard for the interaction between chip-based "smart-cards" and approved payment devices. The cost of Payment Card Industry Data Security Standard (PCI DSS) compliance is vastly underestimated—but maybe not as understated as the tangible and intangible costs of a data breach. TAP, PAY & SAVE: Tap your phone to an NFC terminal at checkout and use any credit or debit card you want with your iphone or Google Wallet app. Honeywell’s MS9590 VoyagerGSTM hand-held, single-line laser scanner increases productivity by offering an aggressive solution for scanning all standard 1D bar codes. 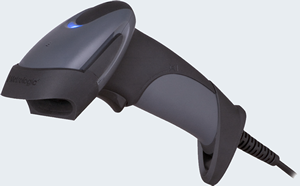 As the newest addition to the industry-leading Voyager® series, the MS9590 VoyagerGS features a new ergonomic design that maximizes comfort and reduces fatigue for customers desiring a trigger-activated, hand-held laser scanner. This new form factor makes the scanner ideal for a variety of applications, including retail point-of-sale, office automation and healthcare settings. Optional integration of an RF EAS antenna allows retailers to save time and money by simultaneously deactivating EAS tags and decoding bar codes quickly. The VoyagerGS ensures speed and accuracy by combining patented automatic infrared activation technology with an enhanced depth-of-field. This scanner also includes Honeywell’s patented CodeGate® technology which easily completes data transmission with a single trigger pull. The MS9591 VoyagerGS is ideal for applications that require high-density scanning, such as electronics manufacturing. The MS9591 delivers quick and accurate scanning of 1D bar codes as small as 3 mil. The MS9590 can be configured at no cost by using either the MetroSelect® Single-Line Configuration Guide or MetroSet®2 software via a RS232 or USB interface. 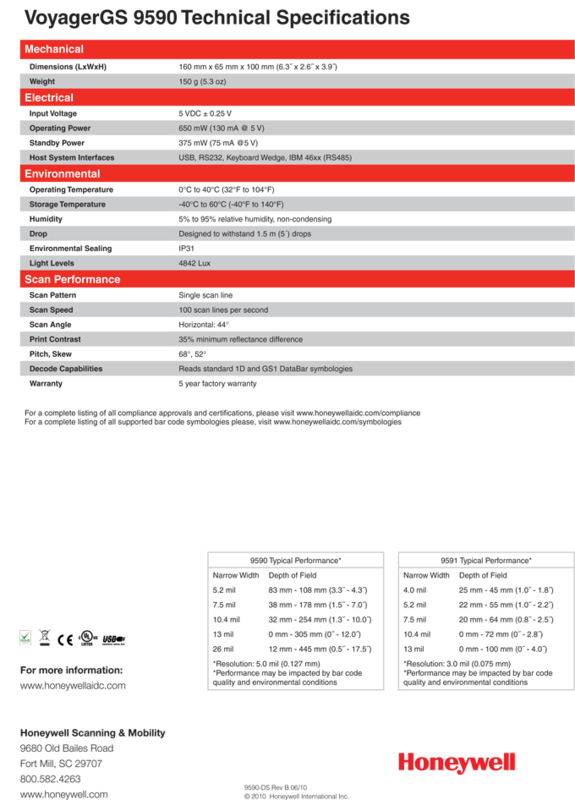 The MS9590 also has the ability to format bar code data to meet the specific requirements of host systems. For presentation scanning, Honeywell offers a flexible stand with automatic in-stand detection technology. Copyright 2014.Posregister.com div of Atlantic Bankcard Center, Inc. All Rights Reserved.